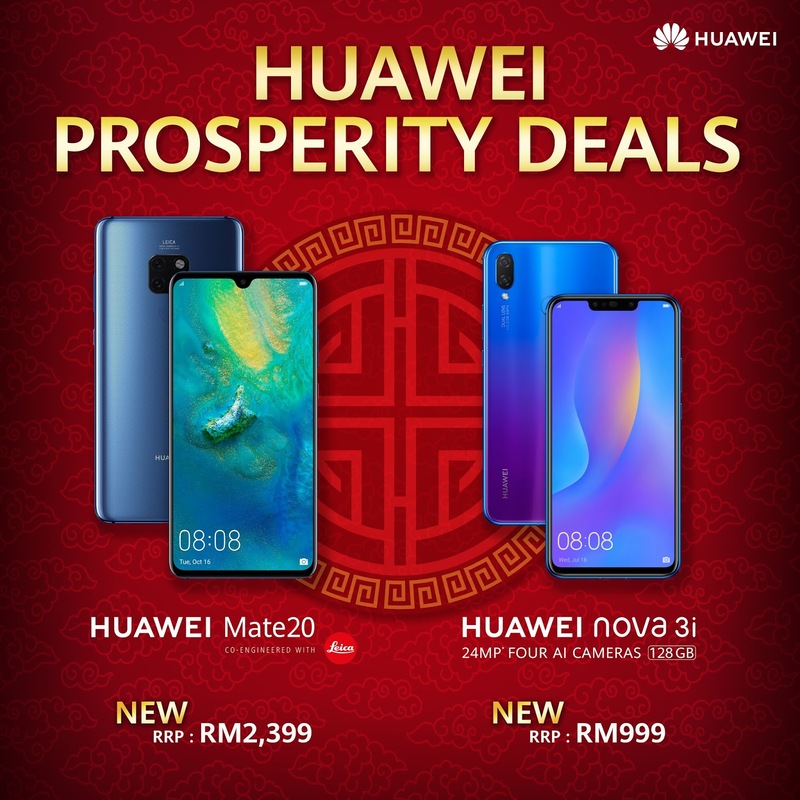 With Chinese New Year right around the corner, HUAWEI continues to provide Malaysians with generous bargains through its HUAWEI Prosperity Deals, giving Malaysians more worthwhile reasons to own the HUAWEI Mate 20 and HUAWEI nova 3i. Saving up to RM500, the HUAWEI Mate 20 and HUAWEI nova 3i will retail at the new prices of RM2,399 and RM999 respectively, starting 21 January onwards. 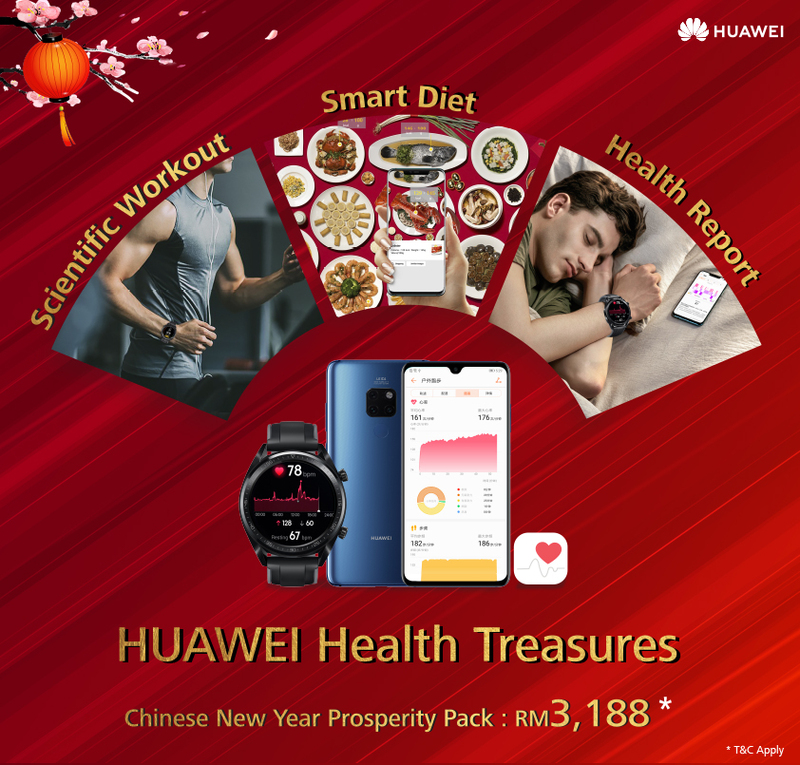 The Chinese New Year promotion runs from 15 January – 13 February 2019, offering three ‘treasures’ – Healthy Pouch Set at a new package price of RM3,188 which includes a Huawei Mate 20 (retailing at RM2,399), a Huawei Watch GT Sport (retailing at RM899) and Huawei Health App which provides a comprehensive health report and customized health suggestions. Promotion is only available through Huawei Online Store:https://shop.huawei.com/my/. For more information, please visit https://consumer.huawei.com/my/ or HUAWEI’s official Facebook page at www.facebook.com/HUAWEIMobileMY.